Kids of all ages love Minecraft. There are tons of Minecraft toys available at most toy stores these days, but some of the sets are incredibly pricey, and not all the toys are appropriate for younger kids. When I saw these unfinished wood blocks at a craft store, I knew that I could transform them into Minecraft blocks so that even younger kids can have fun bringing everyone’s favorite video game to life. Do this project with your kids, or make them a set of blocks as a gift! 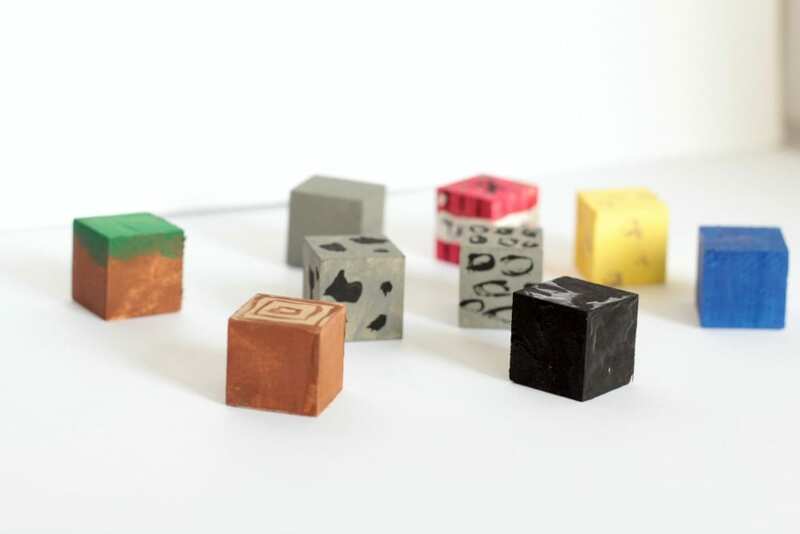 These Minecraft blocks are adorable and would make an excellent handmade birthday gift or Christmas present for Minecraft-loving kids. If your kids love Minecraft, they will love making these SUPER cute blocks! Sand any rough edges on the blocks. Wipe away excess sawdust. 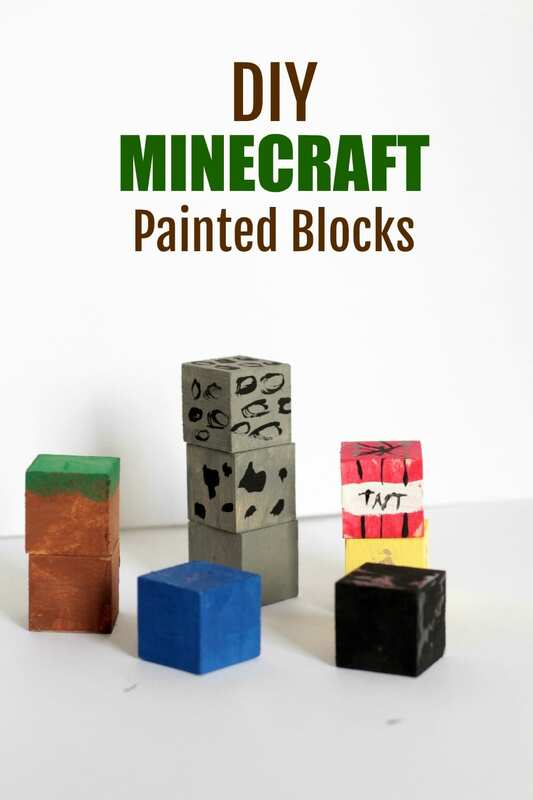 Paint each block to look like the real Minecraft blocks. You can either choose to make one of each block like we did, or make a bunch of blocks painted the same way so that the kids can build their own Minecraft scenes with the blocks later. These blocks are inexpensive at craft stores, so for around $20 you can make quite a few blocks! After painting each block the main color, use a small paintbrush to add details. We transformed out blocks into TNT, grass, smooth stone, cobblestone, wood, water, obsidian, sand, and coal. Let the blocks dry for at least two hours. Once dry, you can also add a layer of Mod Podge or another sealer to prevent the paint from chipping off. However, the paint should last a while if you used unfinished wood blocks.